Great deal for your little ones, especially if they love LEGO. 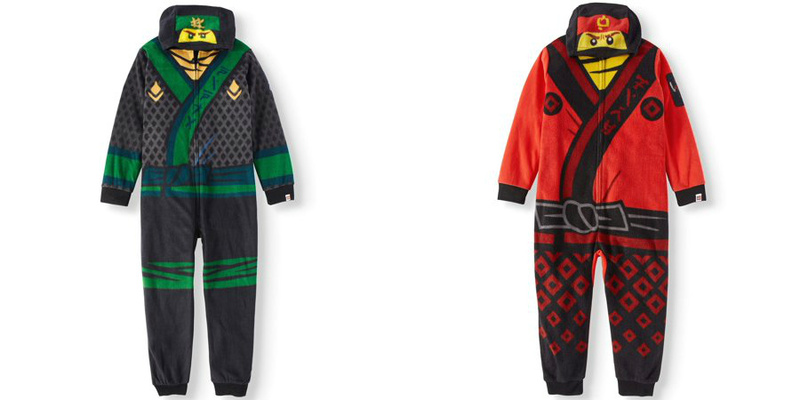 LEGO Boy’s Hooded Lego Ninjago Union Suit Onesie Pajama Sleep Set on Walmart.com. Only $13.50, regularly priced $16.88 + Free Store Pickup. Turn your home into a magical adventure for your child with this Hooded Union Suit Pajama inspired by LEGO. Made from a plush microfleece fabric, this piece will keep your little crime-fighter warm and cozy whether he’s sleeping or lounging around the house. The full zip front closure makes changing easy and simple, while other features like the all over print will make him the life of the party at sleepovers. This officially licensed product is great for showing off the things your child cares about, and makes a great gift for fans of LEGO.